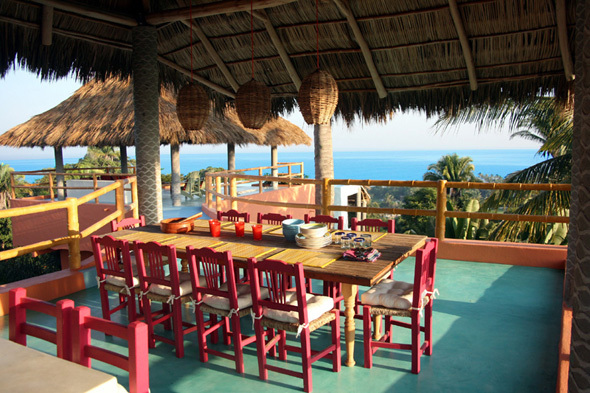 This vacation home located on the Riviera Nayarit, in the town of Sayulita, would make for a lovely summer villa. 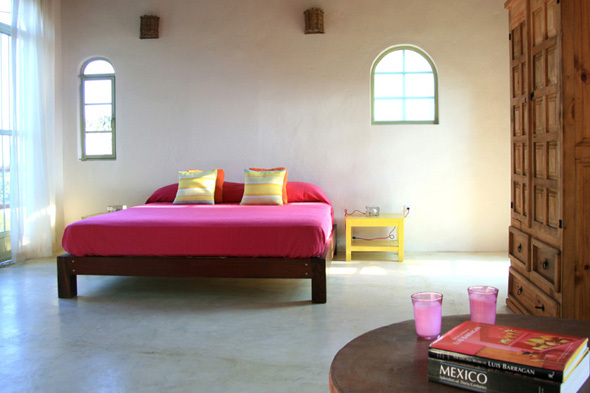 Situated on the Mexican Riviera, Casa Dos Chicos, is a beautiful 3 000 square foot home, that sleeps up to 10 people. 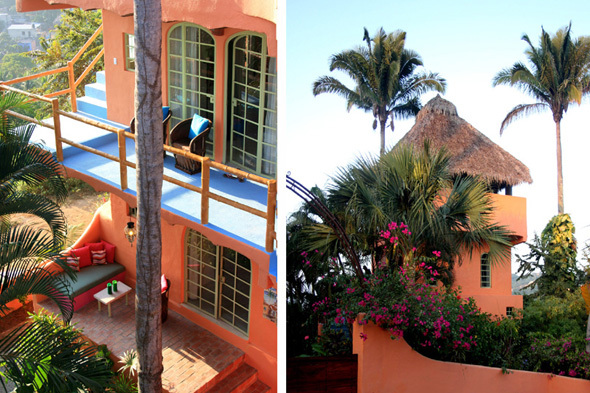 The exterior of the house is in a beautiful coral color with tropical blue accents. 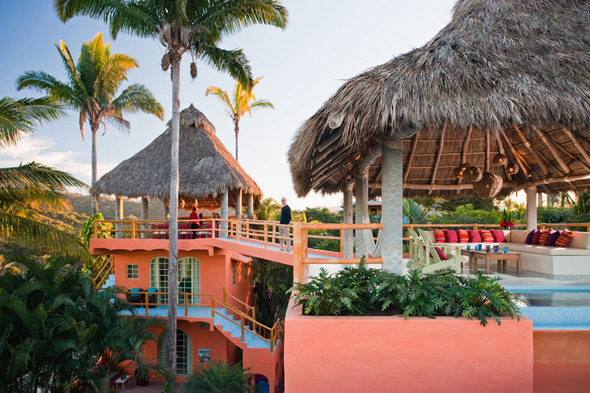 It has two three-story buildings, connected by a beautiful bridge. 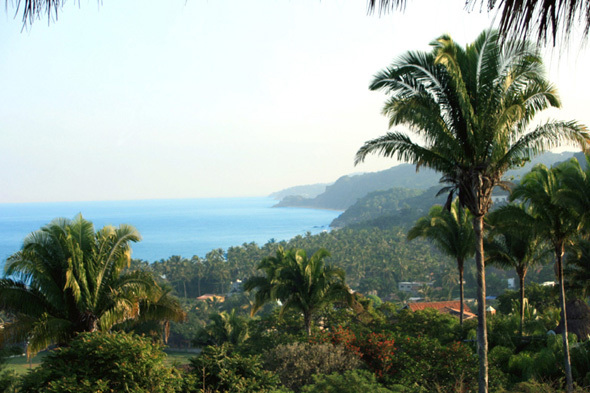 It has views of the ocean, the coastlines, and the foothills; an insurmountable amount of scenery for viewing. 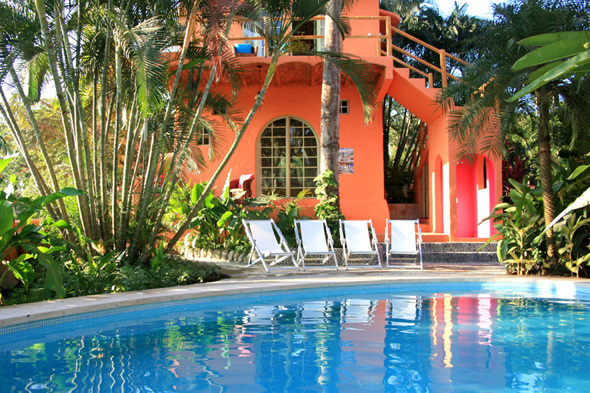 The heated pool is twenty nine feet by fifteen feet, and the rooftop hot tub is ten feet by seven feet. 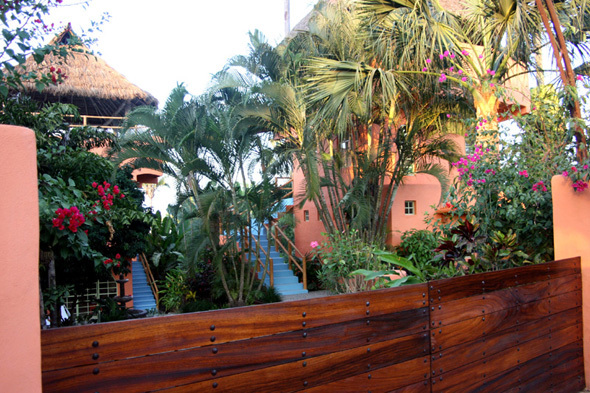 It is surrounded by a lavish garden, adding even more scenery and nature to this beautiful home. 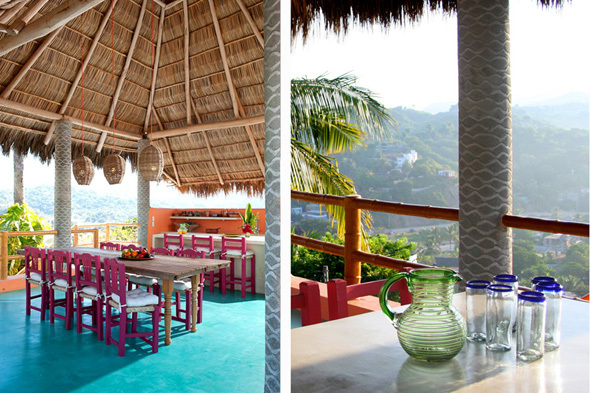 The kitchen and dining room of the summer villa are covered by a palapa roof. 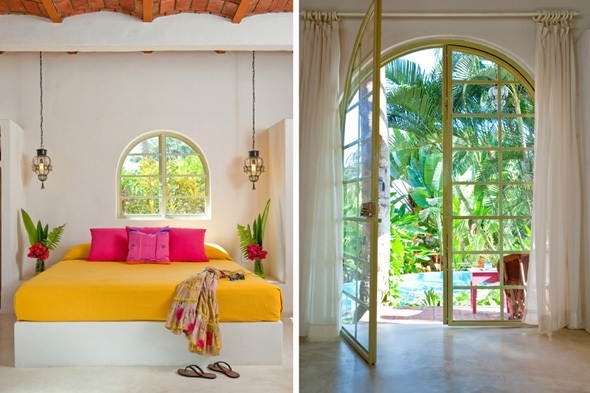 Beautiful hot pink and turquoise flow through the open and airy space, giving this wonderful home even more tropical flair. The dining room has a light wood table and light colored railing. The kitchen has dark wood cabinets, and a bright orange divider. The living room is across the bridge from the dining area. 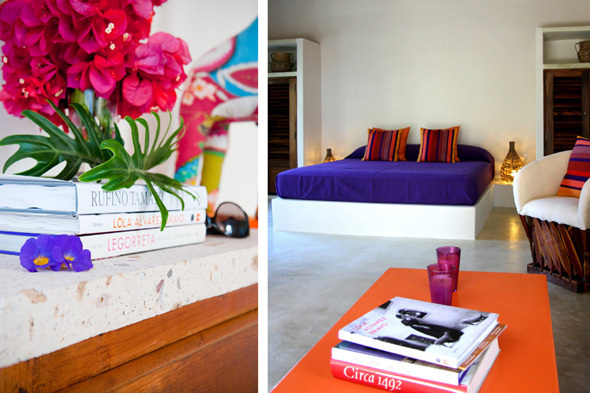 A plush white sofa, sits in the corner of the space, with brightly colored, purple, orange, and fuchsia pillows. In front of the sofa, two wooden tables are arranged, followed by two off-white chairs. 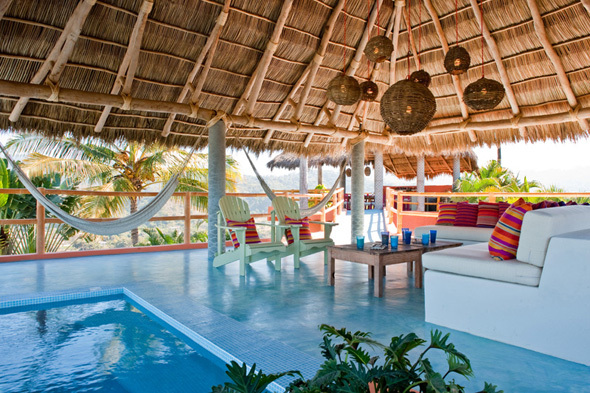 Hammocks, hang behind the chairs, in perfect position for admiring the views before nodding off into a nap. 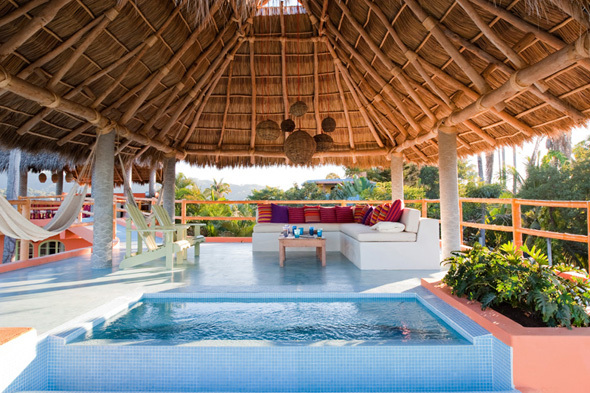 The hot tub is placed at the edge of the living room, giving unobstructed views to anyone relaxing in the soothing water. 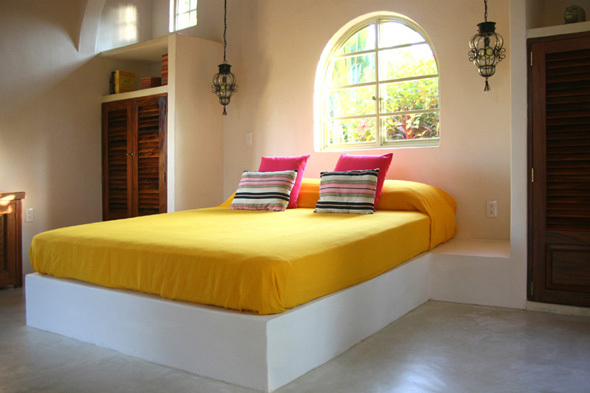 All of the bedrooms are fantastically spacious, and they each come with their own bathroom and indoor/outdoor space. 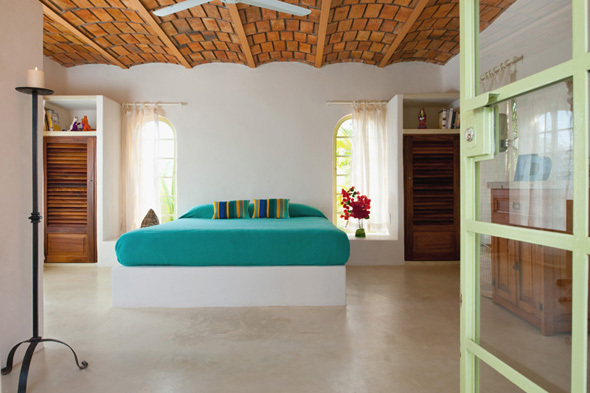 All of the bedrooms have smile-inducing pops of color in them, making sure it’s tropical in every area of this home. 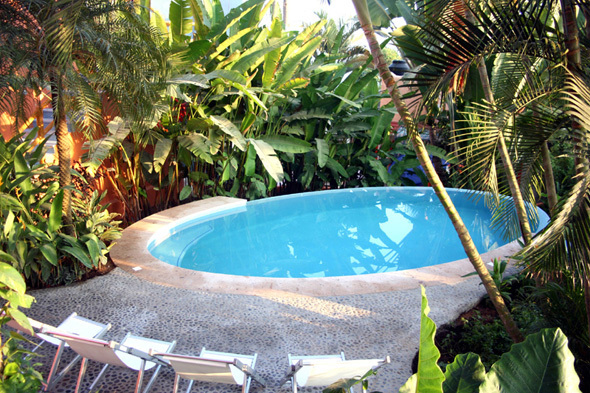 There are four bedrooms in this enticing home, perfect for a medium to large sized family’s summer villa. 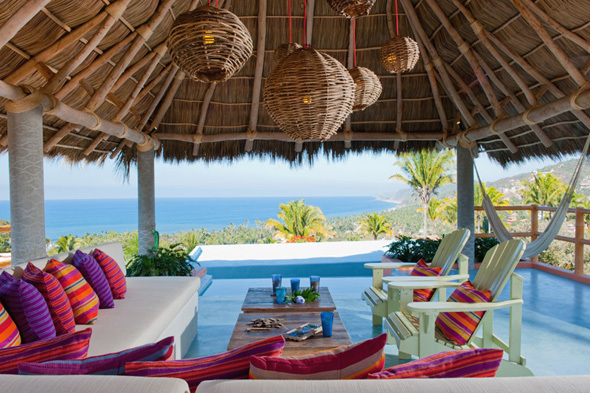 This vacation home is an absolute dream. 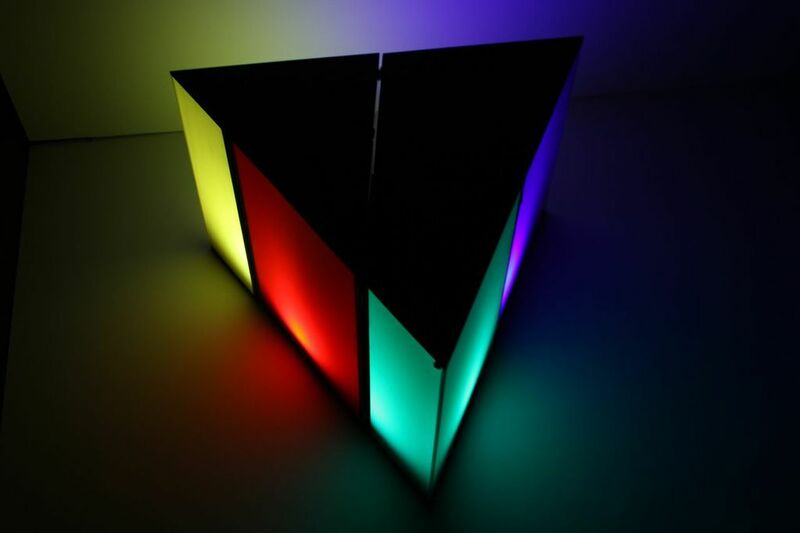 It has space for everyone, and spaces to get away from everyone. 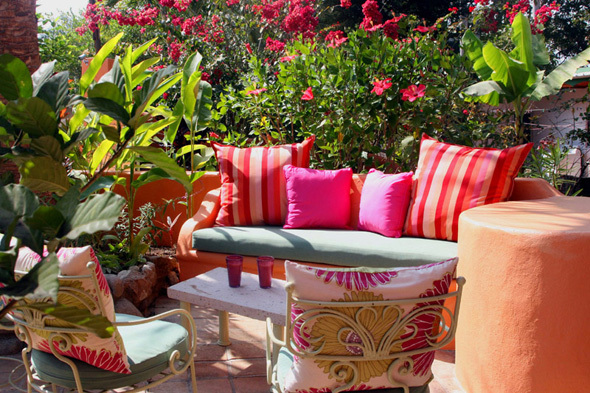 Beautiful views and individual space make this an immaculate choice for a summer villa. 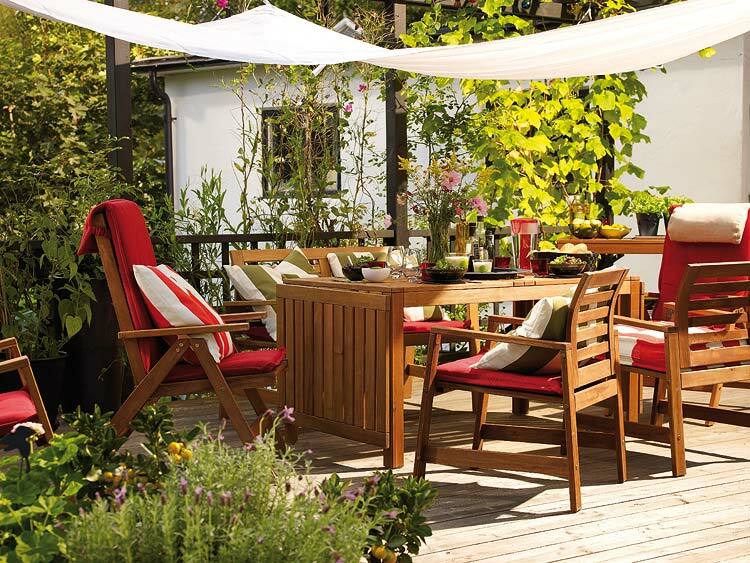 Everything is taken care of and thoughtfully designed. 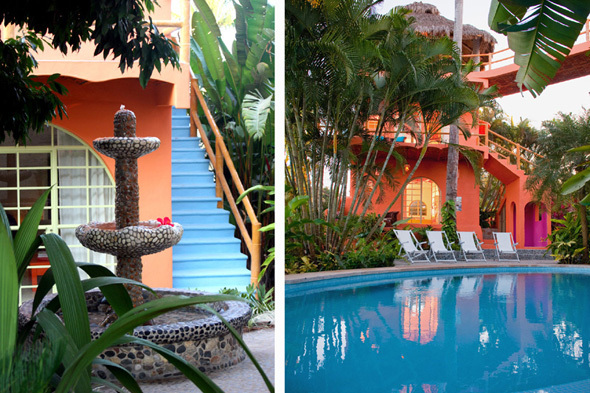 The only decision left is: ocean, hot tub, or pool?